Paytm Wallet and Payment Bank users can change PayTM Registered Mobile Number directly through the application. Changing the Registered Mobile number will not affect your PayTM Wallet or Bank Account. Paytm is a popular digital wallet and payment bank service. You can recharge mobile, pay bills, book bus, and train ticket, pay online payment and more by opening your wallet account. You can also open a saving account by completing KYC. 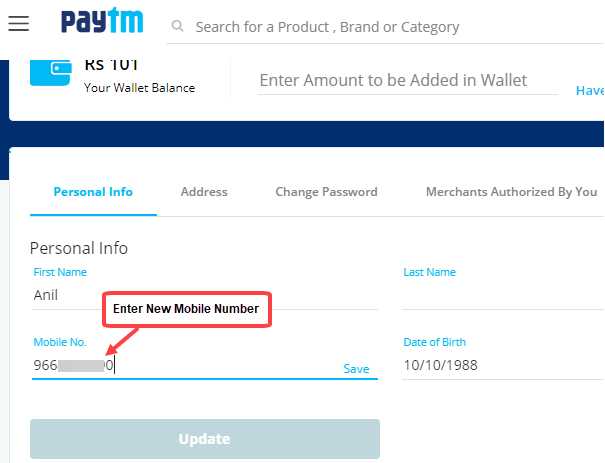 You can change your mobile number through PayTM application which is available on Android, iOS or by visiting PayTM website. 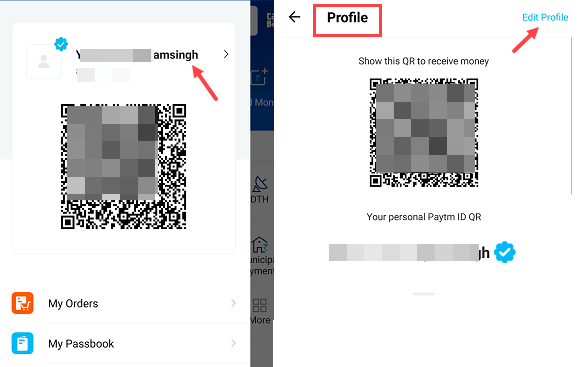 1: First open PayTM Application and open Profile and tap on Edit Profile. 2: In Edit Profile, you can see your current registered mobile number, just tap on it. Next screen, enter your new Mobile number and tap on save as you can see below screenshot. 3: Now you will receive OTP (One Time Password) on your old and new mobile number. You need to enter both OTP password. 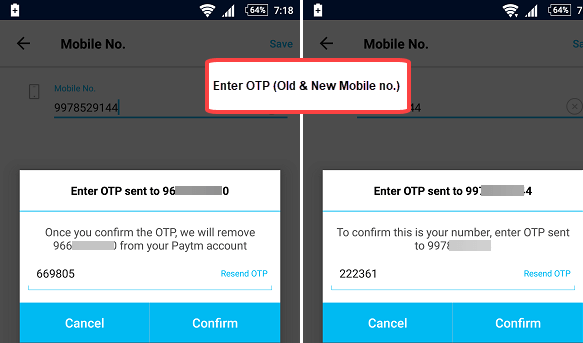 After entering OTP on both Old & New Mobile number, your PayTM Registered Mobile Number will be changed. 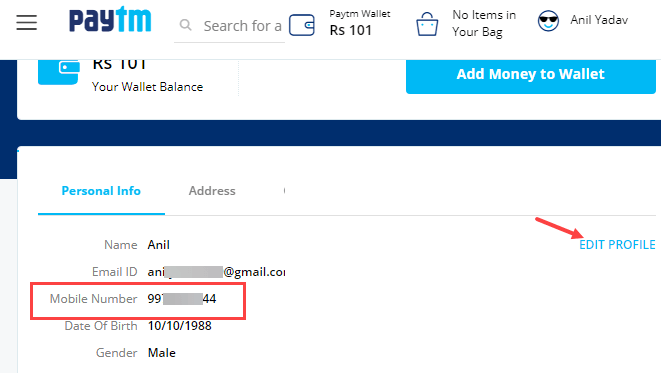 You can log in to PayTM website and also change your registered mobile number. 2: Click on View Profile at the top right corner. 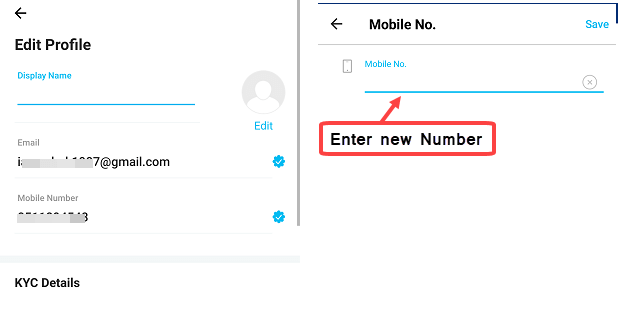 4: Type your new Mobile Number in the Edit profile and click on save. 5: You will receive OTP (One Time Password) on your both (Old & New) mobile number which you need to enter. After typing both OTP, click on Confirm. 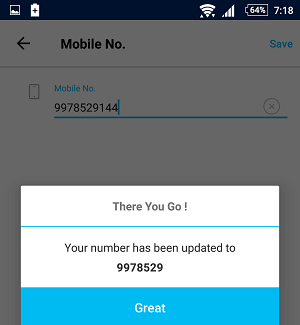 So in this way you can change registered mobile number of your PayTM Wallet and payment bank account. Changing mobile number will not affect your wallet or bank account.